The market takes place on the last Saturday of each month (apart from August and December) and is open from 09:30am until 12:00. In the warmer/dryer months, we have stalls outside in addition to the stalls inside the hall itself. The goods on sale from the stall-holders include fresh, locally produced vegetables, fruits, plants, meat, cheese, breads and baked items, delicious cakes, drinks, and so much more. There are also some craft stalls selling handmade cards, pictures and lots of other lovely gifts. The market runs in the Hanley Swan Village Hall (next to the primary school) on the Welland Road and there is a bus stop nearby. There is free car parking and there is also a playground adjacent to the car park (great for keeping the little ones entertained). Admission to the market is free; however, we are very grateful for any donations and/or the purchase of a raffle ticket – there are some fab prizes to be won! 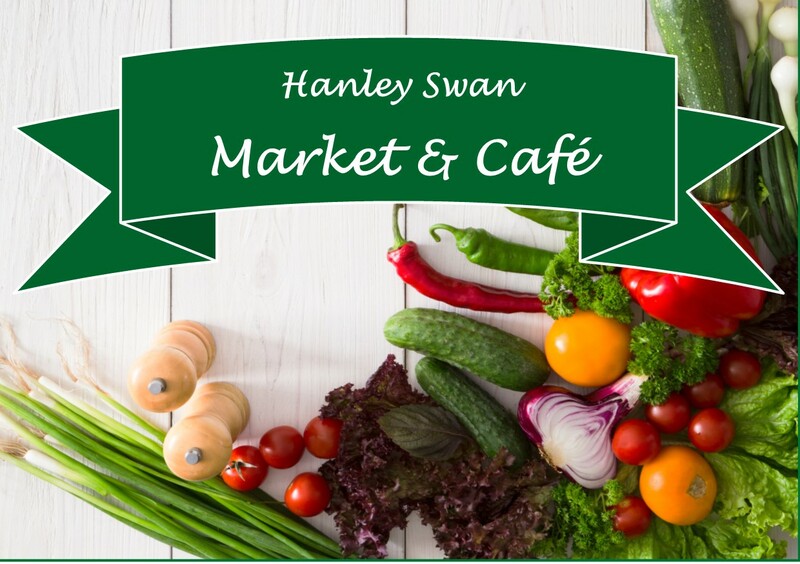 Hanley Swan Market and Café is run on a ‘not-for-profit’ basis. The money raised is donated to different charities, local groups/projects and also given as bursaries. Please support us by coming along to the market; further details are on our Facebook page www.facebook.com/Hanleyswanmarket, and remember to give us a LIKE and SHARE our page, thank you.